15 years ago, I accompanied my elder brother who had come of the Internet age to the cybercafe. As always, I’d sit beside him quietly while he logged into the cafe computer and clicked on an icon which looked like a giant e. The browser application would respond and he’d type into the address bar. Seconds later, the browser would come alive and I’d marvel at the most beautiful and appealing interface I’d ever seen. White background, a shade of blue font color and an image slider would play out before me. Your guess is as good as anybody born in the 80s/90s. That was the Yahoo! homepage. But today was going to be different. 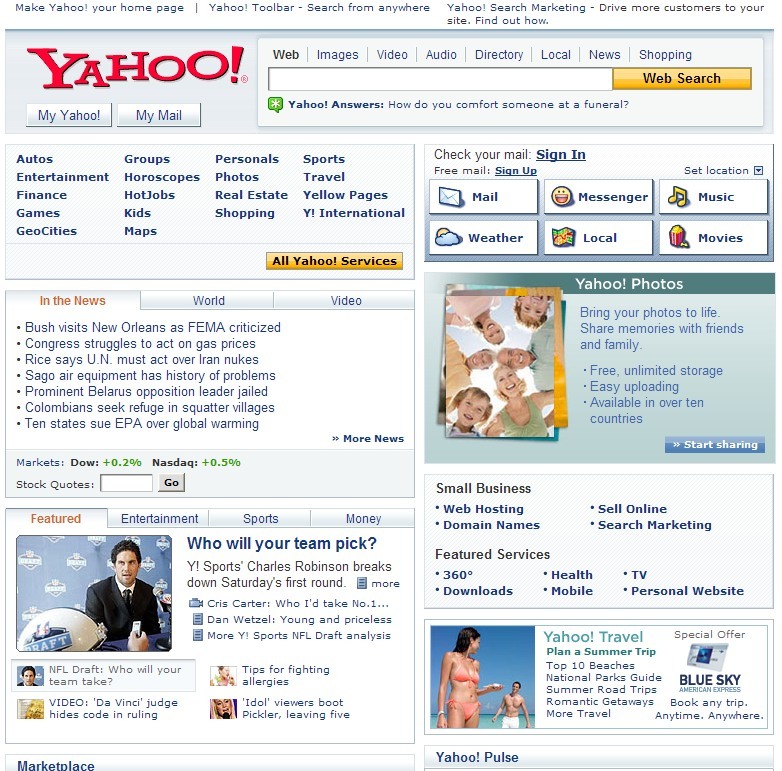 Today, I’d create my own Yahoo! email account. I had been bugging Maseyi for days now and just to keep me from worrying her to death over 50 naira, she had given me the money saying, “don’t kill me! I did not kill my mother!” African Moms, lol. I screamed out aloud in joy, almost bringing down the roof. I did my best dance moves. Just to calm my nerves, I did the dishes about 3 hours earlier because Maseyi can just vex and change her mind o. I told everyone who cared to know that I was creating my own Yahoo email account tonight. Within hours, I had become the envy of friends in my neighborhood. I had spent the previous weeks reading my favourite book; Surfing the Web: An Internet Guide V3.0. The book taught me how to create my Yahoo email account amongst other important things. 50 naira was enough to buy me 30mins of internet time at the cybercafe. The euphoria of having 30mins internet time to myself seemed like 30 years. Today, I was literally going to sit at the computer, grow grey hair and die while at it. Oh God! I feel so nostalgic at the moment. My emotions overwhelm me. Talking about choosing the perfect email address, it was a daunting task. It seemed like there were no cool, catchy email address ideas to come up with. I had toiled and toiled but kept coming up blank. I had a teacher translate his surname into the English language and he had a catchy email address. Talk about Sweet world! Why couldn’t I translate my surname and get a catchy email address too? Aaargh! Too much thinking made my head hurt. I resolved to just appending 2 or the year 2003 to my teacher’s email address so I could get a cool, catchy one too. But I didn’t want to gain notoriety in school as the boy who shared same email address with Mr Ayedun. I must have become bored because soon I was reading a book a friend had written on Mortal Kombat fighters. The book contained fight moves for each fighter ranging from basic to signature fight moves. I had been studying that book keenly to master Nitewolf’s moves. Then it hit me. I could use my favorite character’s name for my email address and that was what I did. As we trudged along Association avenue later that evening, I’d turn to my brother occasionally and ask questions like, “Niyi, sheybi once I create my Yahoo email account, I’ll have friends from all over the world to read from?” in my innocent voice. He’d smile and respond. Soon we came into view of the cyber cafe and I could see the cafe’s fluorescent bulb illuminating the exterior. At that moment, I felt like Achilles gazing upon the city of Troy. My brother brought me my 30mins ticket where I was seated at a computer and I entered the ticket details as I had seen him do severally. This was the moment I had been waiting for my entire life. I’d brag to my friends on Monday at summer lessons that about this feat. Then it happened. My brain went on flight mode the instant the system logged me in. I couldn’t remember a damn thing from my Internet guide. My world froze and no matter how hard I tried to remember what to do, my brain kept falling into a loop. Has anyone got that feeling before? My brother noticed my helplessness after about 3mins while at his computer and nudged me asking, “what’s wrong?” I told him I didn’t know what to do and he burst into laughter because I had boasted on our way to the cafe that he need not bother about me as I had things on lock-down. He double-clicked the Internet explorer icon and the browser launched. Ah! Welcome back from the land of the loops. I typed into the address bar and minutes later, I had created nitewolf2003@yahoo.com. Anyways, there was a shortage of things to do after creating my first email address. 30 minutes wasn’t 30 years because soon, it was time up and we had to leave. Thank you Yahoo! for all the good memories, for making me see the beauty of the web. Thank you for lighting up my early teenage years. I wrote you an ode. for there is an end to all things, no matter how much we hold on to them. Dear Yahoo!, I’m not giving up on you. I hope you get things right this time around and make a comeback. If you enjoyed reading My Yahoo Story, kindly share on your Social Platforms with the Social Buttons up. Thank you!